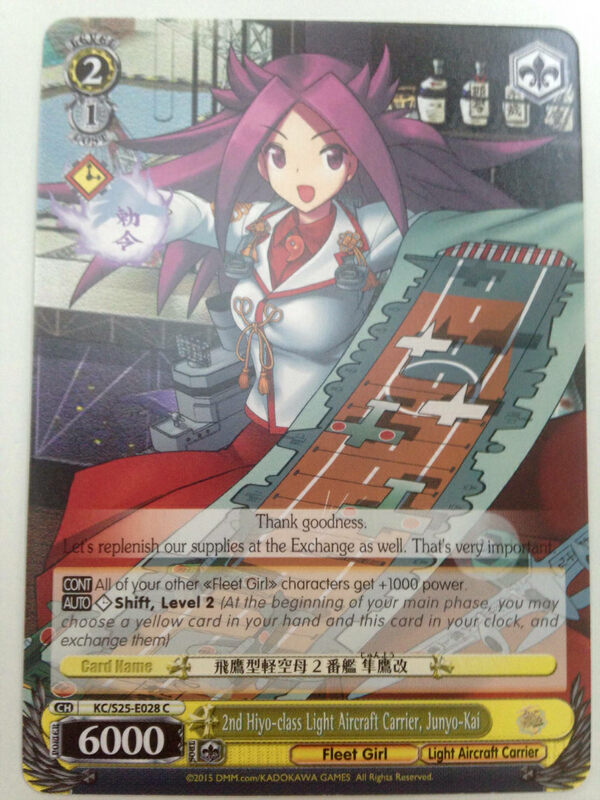 A couple days ago, a leaked image of a specific Kantai Collection card from the upcoming English version of Bushiroad’s Weiss Schwarz trading card game was uploaded on imgur. 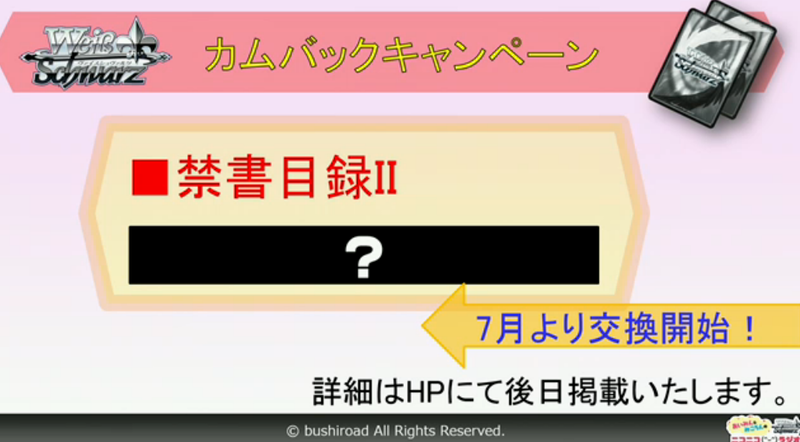 Bushiroad announced some new stuff for Weiss Schwarz! Check out my reaction to the news! 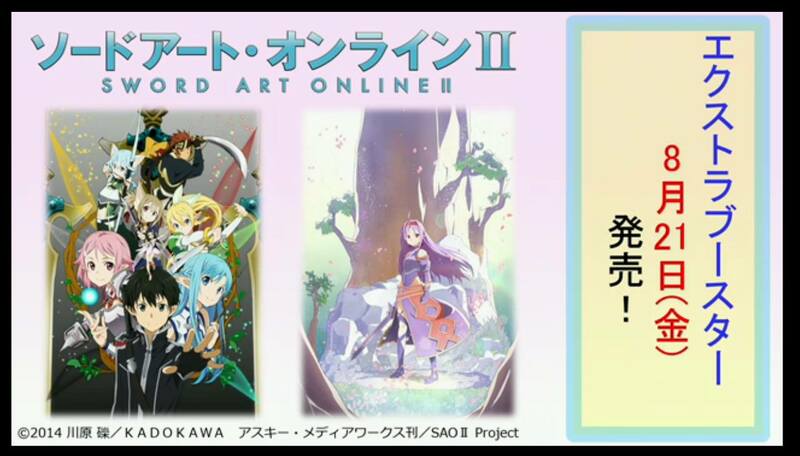 Weiss Schwarz: To LoveRu Release Date, New SAO EB, and Index Comeback Campaign! 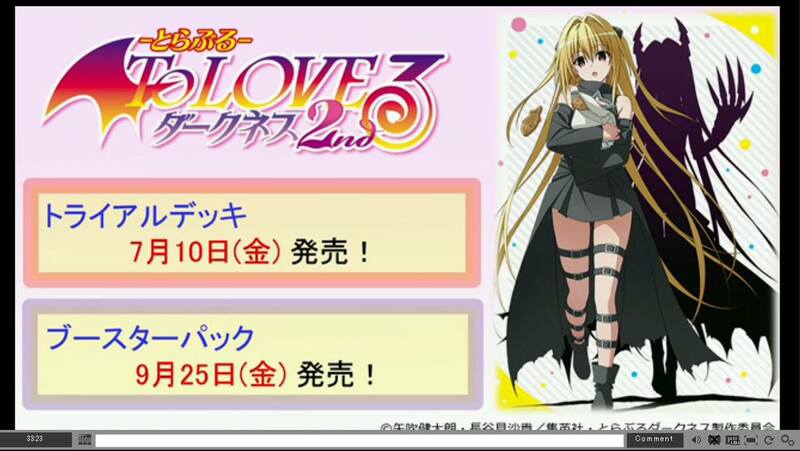 During Bushiroad’s live stream for it’s popular trading card game Weiss Schwarz, it was revealed that the To LoveRu Darkness trail deck will release July 10 and the booster box September 25, a new Sword Art Online II extra booster that will focus on Mother’s Rosario will release August 21, and Toaru Majutsu no Index II will be getting a come back campaign starting in July. All these sets are for the Japanese version of the game. With Bushiroad announcing that Shining Resonance being able to mix in with the Shining Force EXA set for Weiss Schwarz, it opens up a lot of options and a lot of predictions on what we can expect in the upcoming new extra booster set. In the video below, I talk about what cards to expect from the new Shining Resonance extra booster set and what cards to keep / get from the Shining Force EXA set. 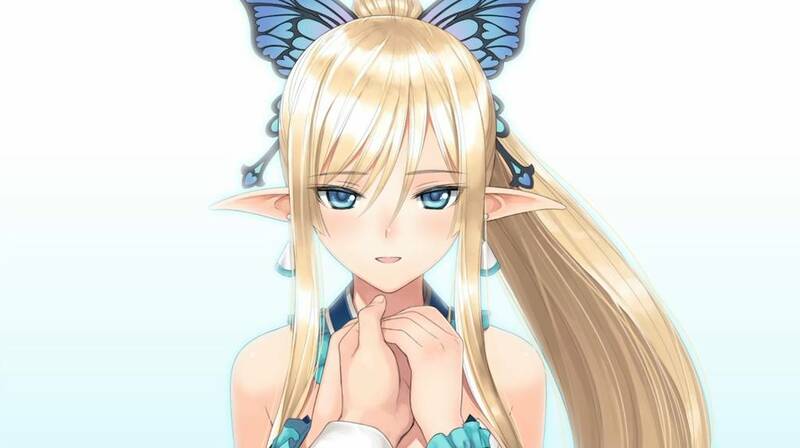 Ever since the announcement of Shining Resonance heading into Weiss Schwarz, players were wondering if the series would be able to mix with the Shining Force Exa set that desperatly needed support after getting hit by the banned list and the lack of keeping up with the current meta.